Unit 2, Lot 7. 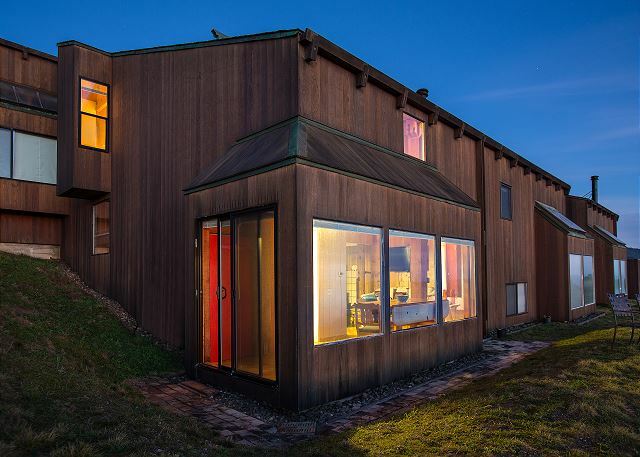 This condominium is one of the original homes in The Sea Ranch, part of the complex that were all individually designed differently by the founding architects Moore, Turnbull, Lyndon and Whitaker. The unit is located in the lower NE corner of the complex, with absolutely the best unobstructed views of Bihler Point and the cove. Condominium One is listed on the National Register of Historic Places. 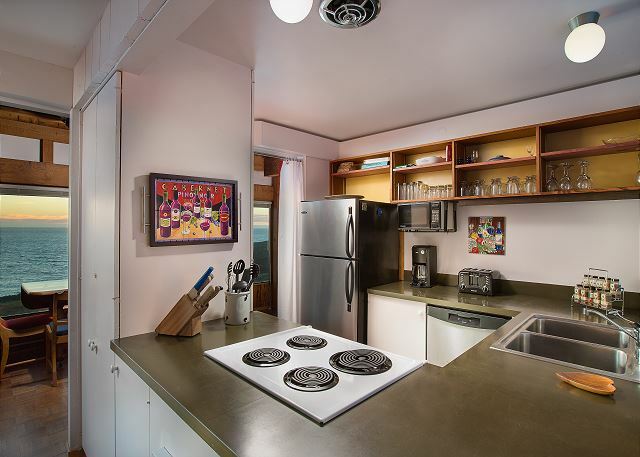 2 BR / 2 BA, perfect for a small family or two couples. WiFi, cable TV are included. 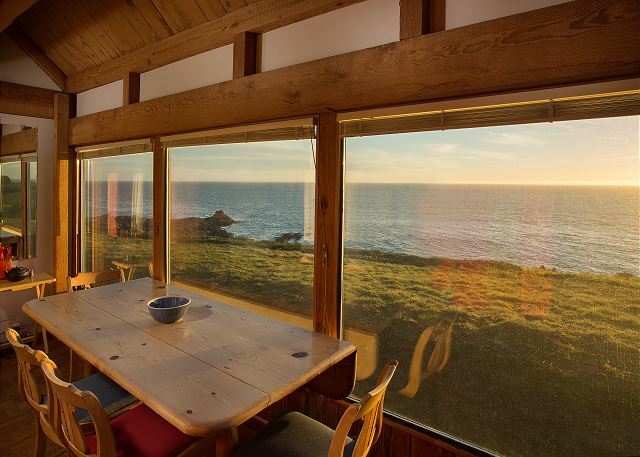 Just steps from the Sea Ranch Lodge this home offers all kind of wildlife viewing - whales can be easily spotted as they migrate up and down the coastline. Relax in front of a cozy fire and gaze out the window at the star filled sky. Slide the patio door open to invite the crashing sounds of ocean waves. Come discover natural serenity, unsurpassed. My husband and I stayed for two nights and it was really lovely. 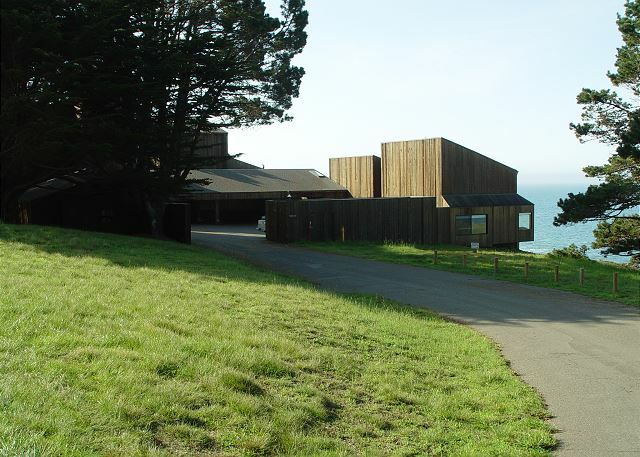 The ocean view is why we chose Sea Ranch Lodge. We opened up the blinds the first morning and were greeted by a family of deer - so nice! -Some of the furniture/decor is outdated but that isn't why you're staying here, right? You're here for the beautiful views and that'll never go out of style! -The patio door is broken (off the tracks) but you can move it if you use a little muscle. The screen door at the front is falling apart which can bring in a lot of bugs so I suggest keeping the front door closed at all times. They basically supply all of the things you need for a nice stay. Just bring good food and kindling (if you want a fire). Keep note that the fire will make the condo very toasty and can make the bedrooms upstairs very warm (which is nice during cold weather). Absolutely gorgeous view, open layout. The only complaint I have is the sliding door to the outside was off the tracks. I would definitely come back. Stanley H from Fayetteville, GA does not recommend this vacation rental. Pro: Great view and location next to main lodge. Unit has great potential!! Cons: Carpeting needs replacement. The 3 story nature of the unit makes temperature control “challenging” with master bedroom on 3rd level. I would not recommend unit for anyone with problems getting up stairs to bedrooms. Bidet on first floor turns on when water in sink is turned on – so when brushing your teeth or washing hands the “fountain” in the toilet constantly is spraying! What appeared to be dining area chairs with no seats were stored in the living room area, making it difficult to reach the books and games (either repair or remove them). TV receiver was balanced on the back of the couch. Living room furniture (couch & chairs) is old and frayed. 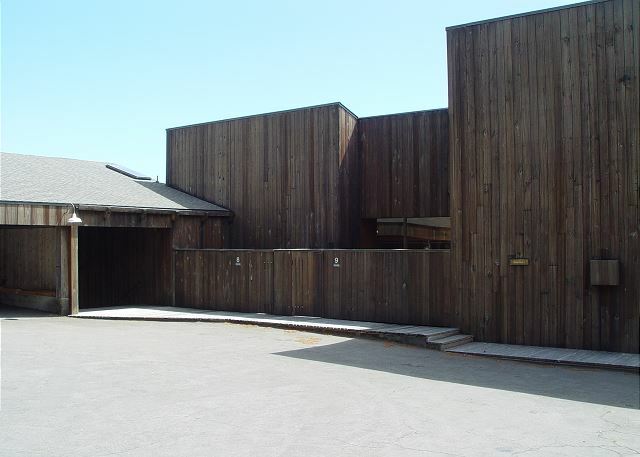 Overall: Expected more for the price and other units we have visited / stayed in within the Sea Ranch Community. It is just like a dream for the foreign Architect to stay in Condo No.1. Especially room 7 is the corner house and has great ocean view. It was amazing experience to stay in this room.I strongly recommend to stay in Condo No.1 room 7. Amazing Place to Stay! Right on the ocean, incredible view to wake up to & just hang around.. Plenty of room for a fun couple of days. Almost everything you could want or need is there.. We love the simpleness. Not flashy or brand new, but a very comfortable homeyness.. We will be back most definitely! a guest from Pasadena, CA does not recommend this vacation rental. This was our second trip to Sea Ranch, last year having stayed in the lodge.We booked Condo 7 in March for a stay in May and were immediately charged the $300 deposit. Ten days later, we were asked to book something else (all priced $100 or more higher) because the owner wanted to stay those same dates - very unprofessional! Having already made travel arrangements, we explained our position and they let us stay in the unit we booked but it was very strange how it all went down. The grounds at Sea Ranch are out of this world but both years, we were disappointed in the lack of professionalism of the front desk staff. When we went to check-in and check-out, they acted as though we were bothering them and we had a similar experience last year. They just seem unhappy and it doesn't fit with the relaxing vibe of Sea Ranch. The condo itself is just ok, I would recommend staying in the lodge over the condo. Bed all the upstairs is comfortable but the rest is dated. The listing doesn't mention it but this is not the place for anyone with knee/hip/back issues. All the bedrooms are up 1-2 flights of stairs. Also housekeeping was in the listing but was not provided. location was great. the best view ever. looking over the coast. good customer service. clean and well maintain. needs updates. Pools was nice and maintain. 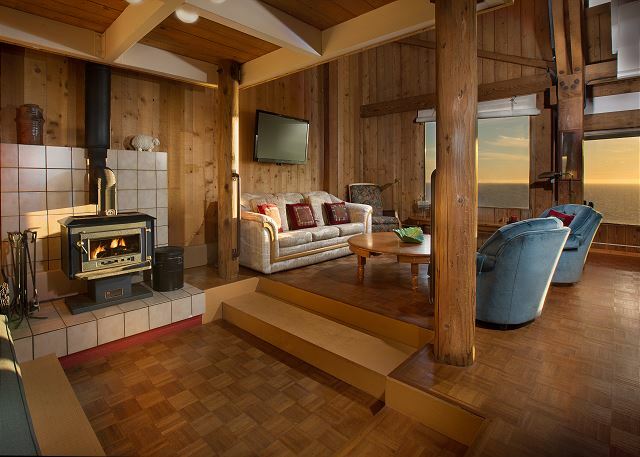 This Sea Ranch Condo is Rustic and Relaxing! A beautiful place to get off the grid, even though the grid is available if needed. Sea Ranch is a beautiful place to get away from it all, and this was a great place to stay. This is potentially a spectacular property. However, the owners have sacrificed aesthetics for utility. Dear Mr. Chambers, Thank you for taking the time out of your schedule to post a review on your recent stay in Condo #7. Aside from the aesthetics I do hope you enjoyed your visit and the amazing views this unit offers. Please know that I will be sure to pass along your feedback onto the owner. a guest from FELTON, CA - California does not recommend this vacation rental. Sea Ranch is beautiful! Great walking, beautiful beaches, big, heated pools. This condo has a fabulous location, right on the bluff, what views! And the sound of the surf right below you. Very good beds and linens. Very clean. Fairly well-stocked kitchen as far as equipment (no can open, though). Really interesting, open layout which we liked but there are a lot of stairs. Wouldn't recommend to people with knee problems. If you are looking for a perfect, modernized place, this isn't it. But we liked it. 1960s for sure. Other than the beds, the furniture was all old. The door lock was a problem. Twice we had to call the office to help us get in. The owners really need to replace it. There's no DVD player and the CD player didn't work consistently. We enjoyed reading, talking, each other's company. Again,incredible location! wonderful view of the ocean from the dining/Kitchen table. Main reason for renting condo - rather than a Lodge room - was to gain access to TSRA rec-facilities. That worked well - and with close proximity to Lodge for meals. But CD-player and WiFi-router didn't work. Also was initially overcharged almost $400; and took 14-days to get a refund. Likewise, security-deposit refund was slow in coming; took 18-days. We had a problem with the first place. Advertised as 5min walk and was 5 min drive. It had black widow spiders in the sky light. Younger members of family refused to sleep under them. After several tries to get ahold of manager we did finally at 10 pm. Couldn't do anything then but apologized greatly and put us in a condo the next morning for our second night. It was beautiful. Definaty a step up from the house we were in first night. The food was excellent for the wedding we attended and staff great. Lynda K from Granite Bay, CA does not recommend this vacation rental. Staff was nice, view from condo kitchen table was excellent, but disappointed with everything else. No view from any bedroom, no solid walls for any bedroom just curtains or sliding wood. Step down conversation pit was dangerous. Would never stay in this unit again. Did enjoy sea ranch property. 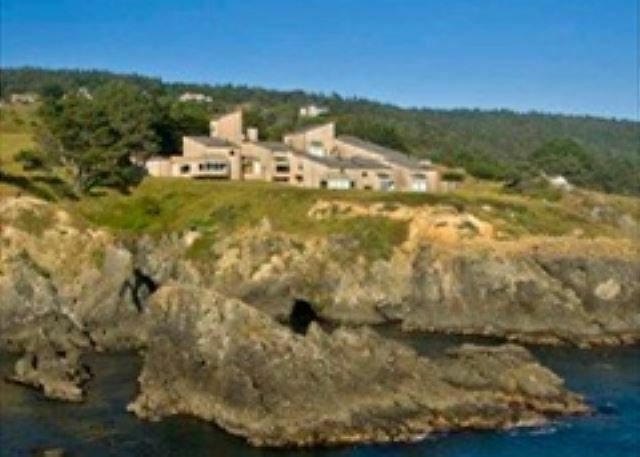 This is a beautiful condo, in a spectacular setting, right next to Black Point and the Sea Ranch Lodge. Everything in the condo was clean and in good working order. The design and decor are modernist and comfortable. 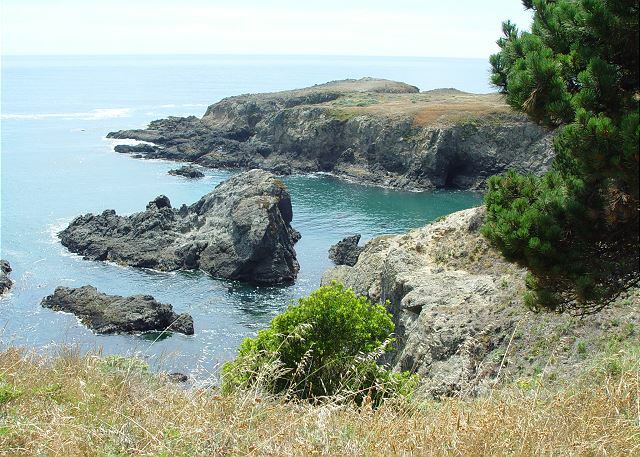 We enjoyed the walk along the bluffs at Sea Ranch, the Shell Beach (which has public access), St. Orres and a wonderful guided hike of the Stornetta Lands (National Monument) by Margaret of . Margaret is very enthusiastic and knowledgeable, and gave us a lot of information about the geology, ecology, history, animals and plants. There are sink holes, sea stacks, caves and many more interesting features in the Stornetta lands. We also saw the nearby Pt. Arena lighthouse, which is on the westernmost point of the U.S. (lower 48). a guest from Dublin, CA does not recommend this vacation rental. 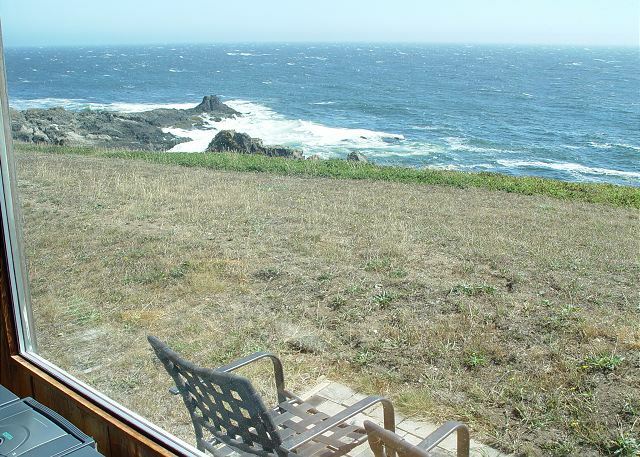 Lovely view from one of the original condos in Sea Ranch. That said, the heat would not work for the first day of arrival; very uncomfortable first night. (Thank goodness for the wood stove.) However, maintenance came the next morning to fix both the heat and the Internet connection; they worked very diligently, but took several hours to complete. Property itself could use updating and re-decorating; furniture was somewhat funky, but the views were fantastic. Don't expect any real privacy within the house. Also, could hear neighbors next door. 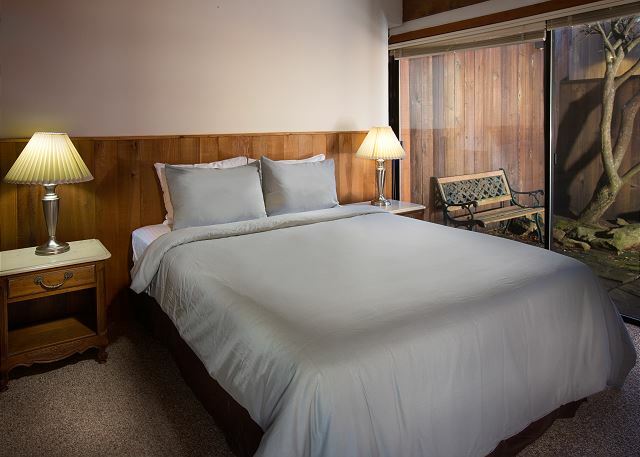 We rented a home through sea ranch lodge but when we arrived the owner was already staying at his home. The manager at the Lodge was very nice and helpful. He located a condo for us to stay in. The location was perfect and the management was very gracious given the circumstances. We love sea ranch and hope to have a home of our own some day. thank you for your care through the stress of the booking mishap.